After years of writing hit songs for other country music artists, Cole Swindell finally broke onto the scene in 2013 with his certified platinum debut single “Chillin’ It.” And if we’re being totally honest, I’ll forever crank up the volume, roll down the windows and sing every word when that song comes on. In 2015, that catchy track earned Swindell his first ACM Award nomination (and win!) in the Best New Artist category, and this talented guy hasn’t slowed down since. From “Ain’t Worth the Whiskey” to the get-you-in-the-feels-every-time “You Should Be Here,” Swindell’s songs have been steadily climbing charts and burning up airwaves. But while you may very well know all of those songs by heart, there are likely a few surprising facts you don’t know about 32-year-old Swindell. See for yourself, and don’t miss the exclusive bonus video for a new, unreleased track off Swindell’s upcoming album “You Should Be Here” being released May 6. This might be my new favorite piece of knowledge, y’all. Cole was actually born as — wait for it — Colden Rainey. Say it out loud. Say it faster. Did ya catch it? I guess now we may have an inkling as to what the weather was like the night he was conceived. This guy is nothing if not a hustler. After receiving a marketing degree from Georgia Southern University, Swindell spent time as country superstar Luke Bryan’s merch guy before eventually becoming an opener on Bryan’s “That’s My Kinda Night” tour. 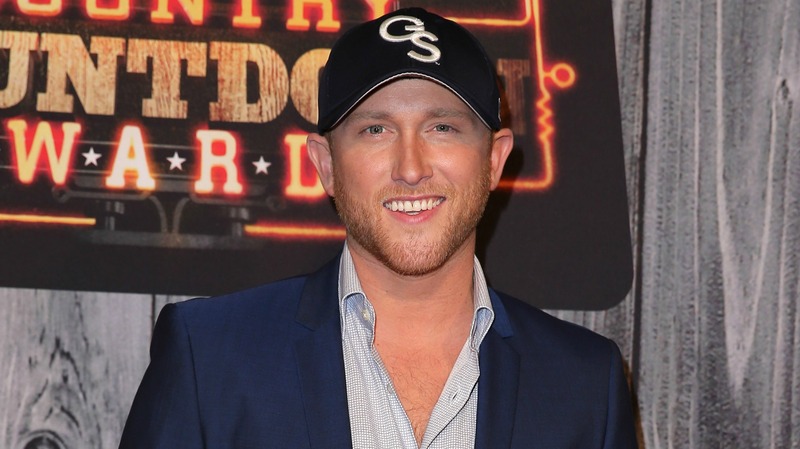 Swindell’s debut single, “Chillin’ It,” sold an impressive 120,000 before he ever landed a major record deal. “Carrying Your Love with Me” by none other than the king of country, George Strait. This according to Swindell himself, who fielded fans’ questions as part of an ACM Twitter takeover. This Georgia boy doesn’t mess around when it comes to which pro sports teams he supports — he’s been a fan of the Atlanta Braves in baseball and the Atlanta Falcons in football since childhood. Fun fact: Swindell is quite the athlete himself, having played baseball, basketball, football, golf and track at his high school. Baseball was his favorite, though. Swindell’s songwriting skills seriously set him apart from the pack. In addition to writing most of his own music, he penned, “This Is How We Roll” by Florida Georgia Line, “Get Me Some of That” by Thomas Rhett, “Beer in the Headlights” and “Roller Coaster” by Luke Bryan, and “Outta My Head” by Craig Campbell, to name a few. It shouldn’t come as any surprise he was named Music Row’s Breakthrough Songwriter of the Year in 2015. According to The Rowdy, Swindell has been known to nosh late at night before. But what food does the country star reach for when he has a hankering? Well, in case you needed any further proof he’s brilliant, Swindell’s favorite midnight snack is Ben & Jerry’s Red Velvet ice cream. Although, for the record, he digs Ben & Jerry’s in general. With this year marking the 75th anniversary of the USO, Swindell set out to do something meaningful for the organization that serves so many men and women in the U.S. military (as well as their families). As such, from now until the end of May, you can actually gift a copy of Swindell’s new album, “You Should Be Here,” to an active duty service member. For every copy gifted through Cole’s official store, he will donate $1 to the USO. As promised, here is the exclusive release of Swindell’s new bonus video for “Stars.” His album “You Should Be Here” is being released May 6 and you can pre-order it now. Don’t forget to check it out and enjoy!